Thoughts about finding, catching and what2do with stray your pups or strays. Wonder if all concerned dog lovers and all groups worked together to create a Pup Detective Network. In Fairfield County, here are some of the places people are told to search when they lost or found a dog. Wonder if people could go to one site and view ever dog reported lost or found? On top of these are multiple buy/sell groups where people post they lost or found a dog. Just make up a figure of the number of facebook users in your county. Out of the number of fb users how many of their post will you never see? There are thousands of people who will never see any of your posts about dogs. If you lost your dog and clicked through all those links, you would have to continue to repeat it daily. ... or you could go to one community album and see all the dogs published in all the groups and organizations. Even if not, a tiny fraction of your 'fb friends' read your post. If you belong to a group, people will post more than about lost dogs and each post made scrolls the previous down. Would you go to each group and scroll down to see all post made? 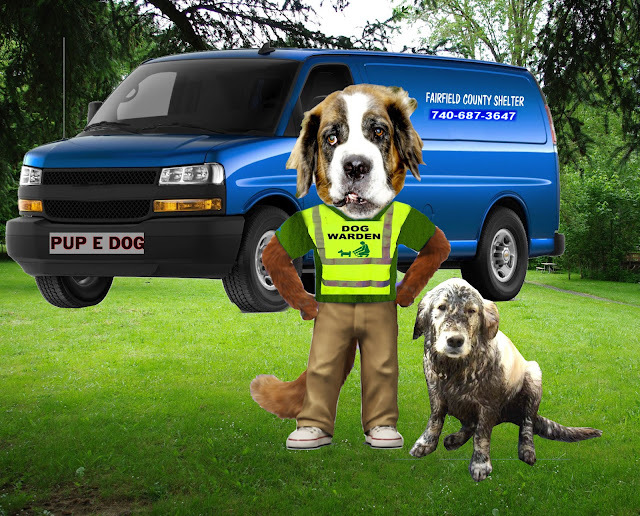 Dog lovers in each county create a network... contacting every group that shares your concerns and pool your resources. Every dog reported missing would go to the found album, so those who found a dog could look at the album and see if they could get the dog home. Every found dog would go to an album, so those who lost a dog could see the mug shots of all dogs found. When any dog found their way home, their profile would be removed. I guess it is a question if people want to have their individual groups or network with all pup lover groups and individuals to share resources and search for dogs. What ever people are doing.. keep doing it but consider the potential of a united force. c) it creates a photo album with thumb nails of all the pics. Scouts.. so many groups that post about lost or found dogs. A scout would be someone that monitored one group that posted about lost or found dogs. A scout would be someone who monitored state or nation wide websites that posted about lost or found dogs from your particular county. You do not want a bunch of duplicate entries, so the scout who sees a new pup on the source they are monitoring... looks at the thumb nails and if that dog is not already listed, they add that dog's flyer to the master album of dogs found/lost in their own county. Anyone who found a dog can look at the thumb nails in that county album. Anyone who lost a dog can look at the thumb nails in that county and search for their own dog. Pup Detectives being those who spread a big net collecting all pics/reports on dogs in their particular county and funneling to their county lost/found dog bulletin board. Blogs can be set up so pages can be emailed. With a little know how they can be configured so anyone can create a page by email. They can be published instantly or be saved to draft. If you will allow the public to send reports on they would have to be saved to draft and you would have to have administrators to review them .. you know what some people do. A blog can be configured into just allowing admin's post to the blog. In this case you would create your team of Pup Detectives and add their gmail as an admin. I have not used filtering before but just reading you can place a filter on email you want to forward. If I am right by choosing who to allow, you could give partners the ability to publish their pages directly to the blog with out approval. Admins could edit blog entry contents and remove post after a pup had found home. No need to look through pics of pups that are no longer a concern. It cost nothing for the blog. Anyone want to experiment and set up a trial group for their own county, I will show you the ropes. What would be great is if an established organization like The Humane Society would take on the project. They are a known, trusted organization in our counties. Friends of the zoo... Friends of the library.. They have volunteers to help with different tasks and Pup Detectives.. collecting information on lost/found dogs in the county... easy. Here on their pages I see them list multiple places people can search for lost dogs. Why not have a photo bucket to collect information on all lost/found dogs on one web album? Any group already discussing and posting on lost pups should keep on trucking. The Pup Detective Network should not be a discussion group but be dedicated to the single task of pups making it home. Your network of Pup Detectives could ask their vets if they could put it on their bulletin boards... local pet stores, groomers, pet food. Hopefully not many will lose a dog but most will know someone who lost or found one eventually. If you know a volunteer or someone who works for the Humane Society pass this link along. I would hope they would share these thoughts through their net works in all counties... states. You can share this page for discussion on facebook or twitter by clicking on the small icons below.